At the tail end of a brutal winter, there’s still time to enjoy and appreciate classic cars perfect for year-round enjoyment. 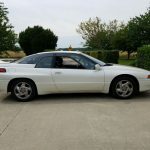 1992 Subaru SVX – Introduced to the U.S. in 1992 as a grand touring coupe, the SVX is known for its sure-footed winter driving capabilities. This vehicle not only looks good with its curvy lines, but its powerful EG33 model 3.3L boxer engine combined with four-wheel drive, over-rev protection, fuel injection and ignition monitoring makes this classic perfect for slick driving conditions. 1984-1987 Saab 900 – The first generation or “Classic” Saab 900 is well recognized in the motorsports industry for its rally car pedigree. Featuring front-wheel drive and a double wishbone suspension design, it’s no surprise this iconic classic dominated in rally racing so it will have no trouble overcoming the winter elements in your neighborhood. 1983-1986 Audi Coupe GT Quattro – Commonly referred to as the “UR-Quattro,” this Audi model is also considered a pedigreed rally car with its permanent all-wheel drive with lockable center and rear differentials and a turbo-charged inline five-cylinder engine. The Quattro provides excellent traction in the ice and snow, especially when equipped with good winter tires. 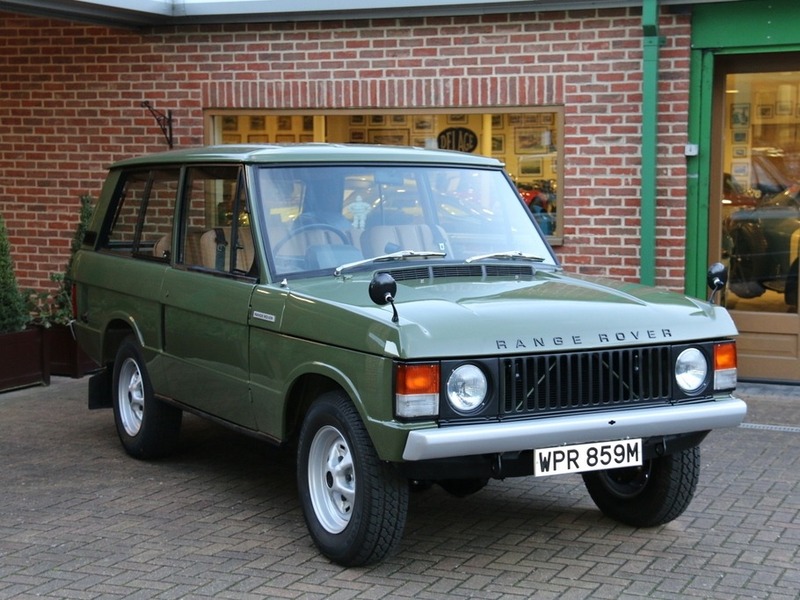 1970-1992 Range Rover – As part of the first vehicle-based expedition to travel from North to South America, the Rover was not designed as a luxury SUV, but rather a utilitarian vehicle with vinyl seats and plastic dashboards. Utilizing coil springs and a body-on-frame design, coupled with four-wheel drive and four-wheel disc brakes, it’s easy to understand why this Rover was used for everything from traversing across various terrains to shuttling the British royal family. 1984-2001 Jeep Cherokee “XJ” – A precursor to the modern sport utility vehicle (SUV), this classic Jeep features a unibody design in which the floor plan and chassis form a single structure (now the gold standard for automakers) for improved crash protection. A straight-six engine, four-wheel drive and “Quadra-Link” suspension makes this timeless classic a shoe-in for safe winter driving. Unlike some other cars on this list, there is huge aftermarket support for Jeeps, so hours won’t be spent scrounging eBay for parts for performance and suspension upgrades. 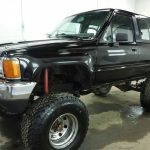 1982-1991 Mitsubishi Montero – This winter classic comes loaded with features not previously seen on a Japanese four-wheel drive vehicle, including a turbocharged diesel engine, a front double wishbone suspension with torsion bar springs and power steering. The Montero quickly climbed the ranks in popularity when in 1983 Mitsubishi released its long-wheelbase model with two different engines; a 2.0L turbocharged gas and a 2.3L turbocharged diesel. The UN was so enamored with this model that a stripped down nine-seater version of the high-roof body was used for UN Peace Operations. Later model years, 1987-1991, feature modern amenities like front-seat heaters, wool seat covers and either a 3.0L SOHC (single overhead camshaft) V6 engine or a 2.5L turbo diesel engine. The long-wheelbase models also have a coil link suspension system for improved off-road durability and a more comfortable ride. 1984-1989 Toyota 4Runner – A revolutionary vehicle for its time, the Toyota 4Runner is the perfect combination of four-wheel drive and off-road capability. This rugged classic comes standard with a nearly indestructible 2.4L 22R inline four-cylinder engine coupled to a five-speed manual transmission with a two-speed transfer case, manual locking front hubs, solid axles up front and leaf springs in the rear. Not only does the 4Runner offer excellent gas mileage, averaging a combined 17mpg city/highway, it’s also a pleasure to drive as an everyday mode of transportation. 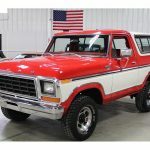 1978-1986 Ford Bronco – Originally designed to become a direct competitor against the Chevy K5 Blazer and the GMC Jimmy, this weather resilient classic features a leak-free removable hard-top, four-wheel drive powertrain, rear folding seats and offers two different V8 engines: a 5.8L and 6.6L. The chassis and most of its body come from Ford’s F-series truck line, including doors, roofline and interior styling. First generation models (1966-1977) are the iconic models associated with high-profile Hollywood stars and come with a hefty price tag and third generation models (AKA the “OJ Bronco”) have an unfortunate stigma associated with them, making it a no brainer as to why the second generation Bronco is the number one choice for collectible car buyers. 1966-1976 Jensen Interceptor FF – The first of its kind, the Jensen FF (Ferguson Formula) preceded the Audi Quattro by 14 years with its all-wheel drive and anti-lock braking system. Powered by American muscle, the British sport touring car is equipped with a 6.3L Chrysler V8 engine. With proper maintenance and care, this rare and highly prized classic can handle the elements of any season. 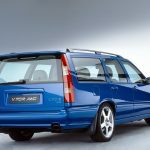 1996 – 2000 Volvo V70 All Wheel Drive – Although the first generation of the Volvo V70 hasn’t become an official classic, it has already been earmarked as an up-and-coming collectable. Enthusiasts prefer the V70 R, which replaced the popular 850 T-5R and 850 R in 1997. The R models are available in front and all-wheel drive with an automatic or manual transmission, come with the highest performance engines in the lineup and feature additional interior upgrades from the standard V70. With Swedish DNA pulsing through its engine, the V70 has an impressive 190hp, going zero to sixty in 7.8 seconds. The V70 R boasts 247hp, achieving zero to sixty in 6.8 seconds. BONUS: 1922-1929 Ford Model T Snowmobile Kit – A quirky, yet surprisingly efficient, limited edition kit for the classic Ford Model T. Originally designed in 1917 by Ford dealer, Virgil D. White, the snowmobile attachment consists of a complete package necessary to convert the Model T into a reliable mode of transportation during winter months, boasting its ability to travel over two and a half feet of unbroken snow at an average speed of 18mph – not bad considering the best snow vehicle at the time was a horse. Whether you’re a first-time buyer or a seasoned collector, it’s important to know which classics are best suited for your driving needs and climate. For more tips and information to help you make an informed investment, www.ClassicCars.com.